CK Obsessed invites you to experience a refreshing expression of the Italian coastal paradise an ideal perfumes for men from a new point of view. It is oro Blanco Grapefruit Sichuan Pepper Black Cardamom. A modernized oriental that has a unique link to the original scent re-interpreted through the lens of masculinity with fresh cedar leaves and resinous amber. The overdose of vanilla is addictive and disruptive while remaining true to the Calvin Klein dna. 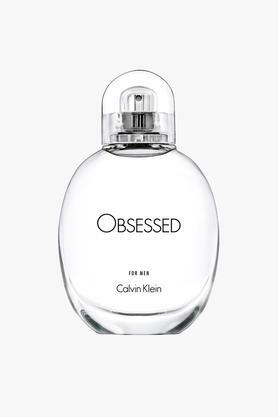 This eau de toilette from CK Obsessed is a great pick to complement your upscale style.